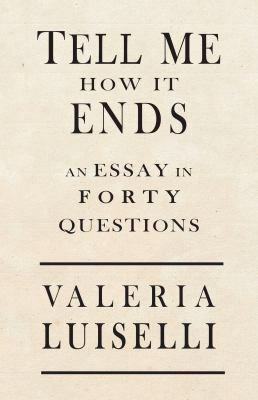 Structured around the forty questions Luiselli translates and asks undocumented Latin-American children facing deportation, Tell Me How It Ends (an expansion of her 2016 Freeman's essay of the same name) humanizes these young migrants and highlights the contradiction of the idea of America as a fiction for immigrants with the reality of racism and fearboth here and back home. New (697 available) BRAND NEW. Over 1.5 million happy customers. 100% money-back guarantee. Make your purchase count: support Better World Books' worldwide literacy partners.